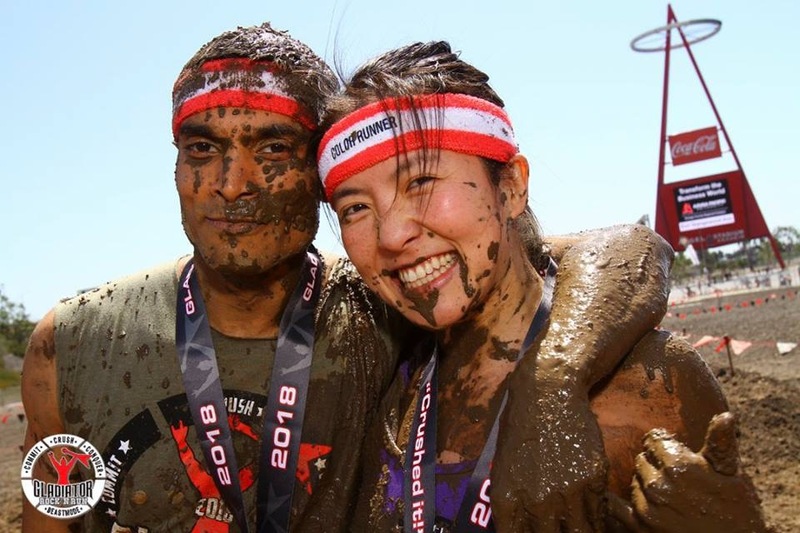 This year, Gladiator Rock n' Run Race decided it was time to evolve with the future, so the company vocalized their intrigue in organizing a stadium run. 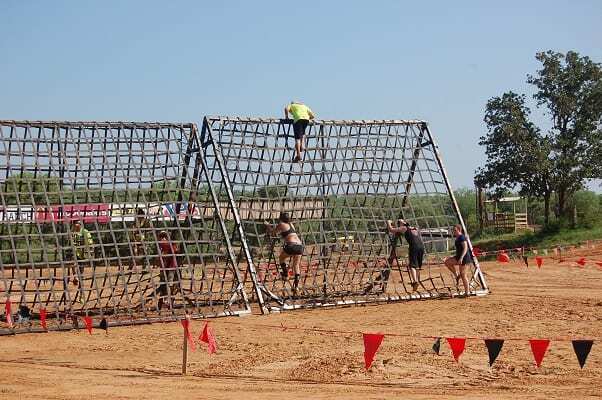 Spartan was the first to introduce it in 2012, and now many of the leading obstacle course racing brands are becoming fascinated with the idea of racing in their favorite arenas and ballparks. 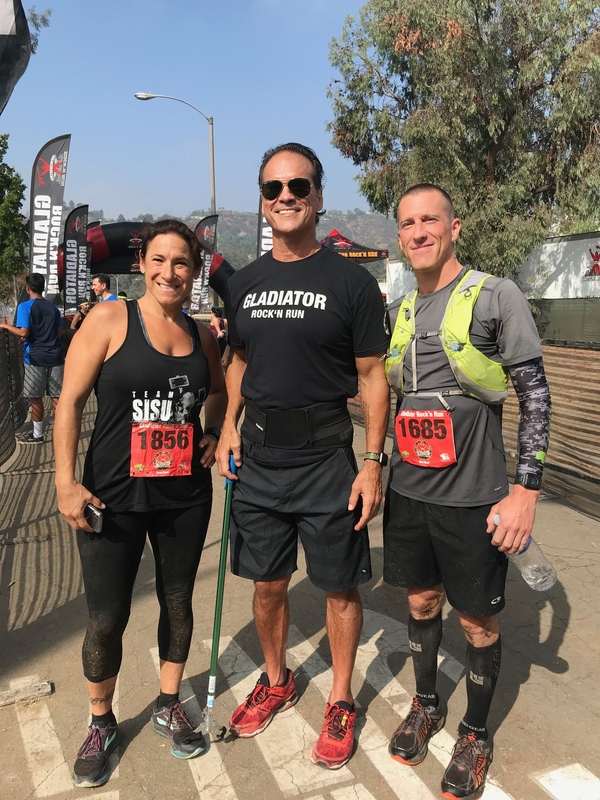 Taking a page from the 80’s, former American Gladiators star; Dan “NITRO” Clark has created a race series! I can still remember as a kid watching these gladiators taking on the everyday Joe in a series of challenges. Looking back on it, I can now see the clear correlation between what those competitors encountered back then to what we were about to experience in Dan’s vision. Since this was on a motocross track I already knew to expect hills. They did not disappoint. The crew took great advantage of the course topography. I also noticed many mud/water pits. The weekend before, we had torrential rainstorms that seem to have added to the course unintentionally, but with great positive effect because it made the already technical course, even more so. 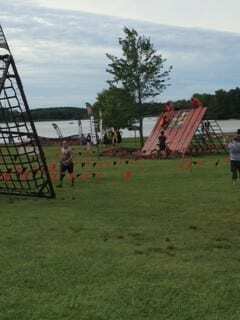 The competitive heat lined up in the starting gates and we received our Pre-Race announcement from Dan Clark, along with special course instructions for the competitive wave. Once complete, we were off.